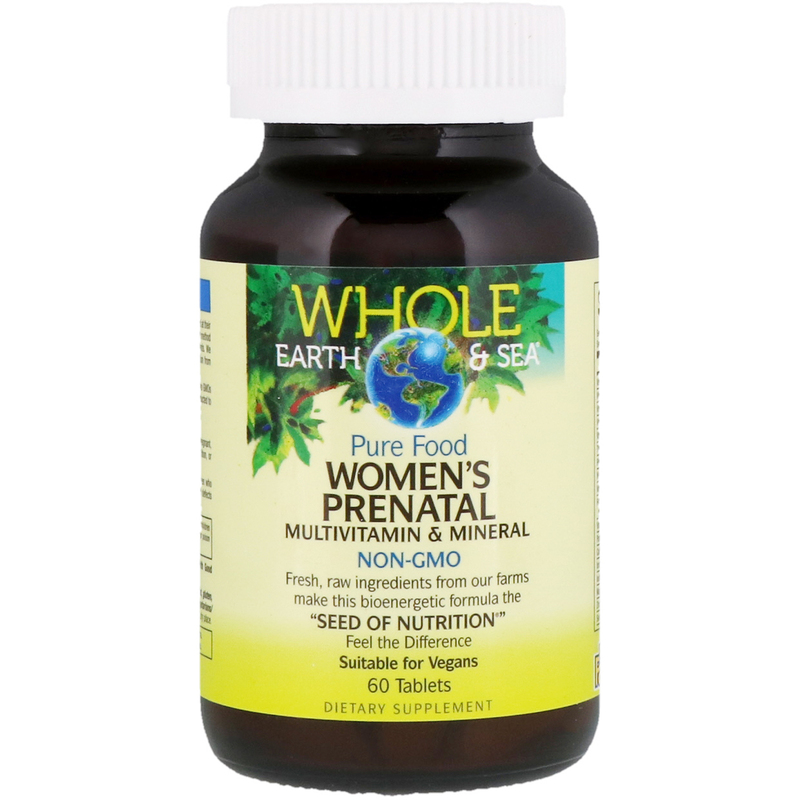 Fresh, raw ingredients from our farms make this bioenergetic formula the "Seed Of Nutrition". We enusre the processing temperature always stays below 118°F. The end result is raw nutrition from whole plants, capturing all the vibrant energy and goodness of nature. 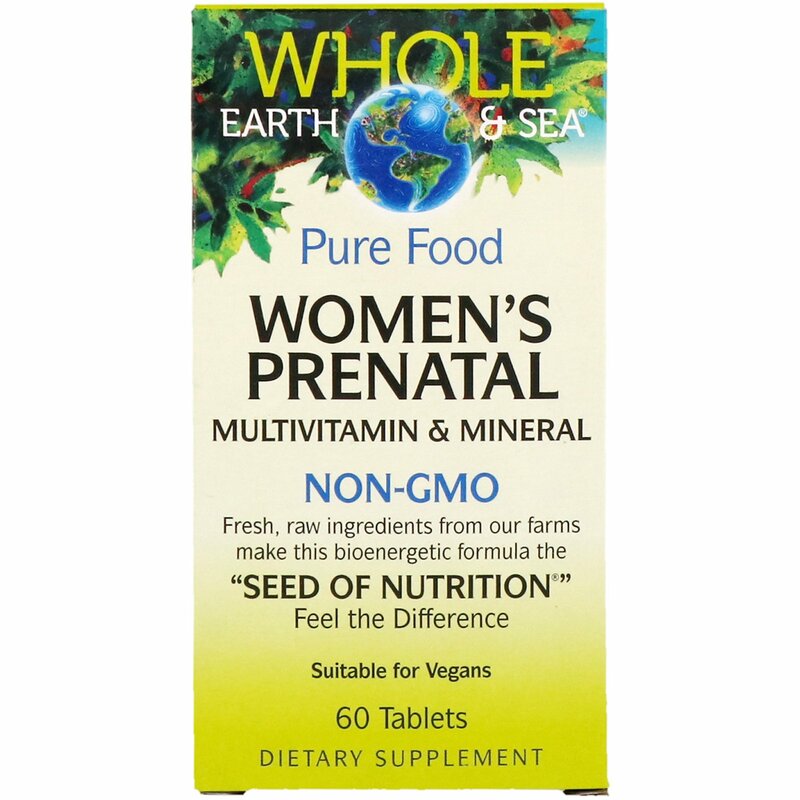 Pure food nutrient-rich tablets 100% made, packaged, and tested in USA and Canada. 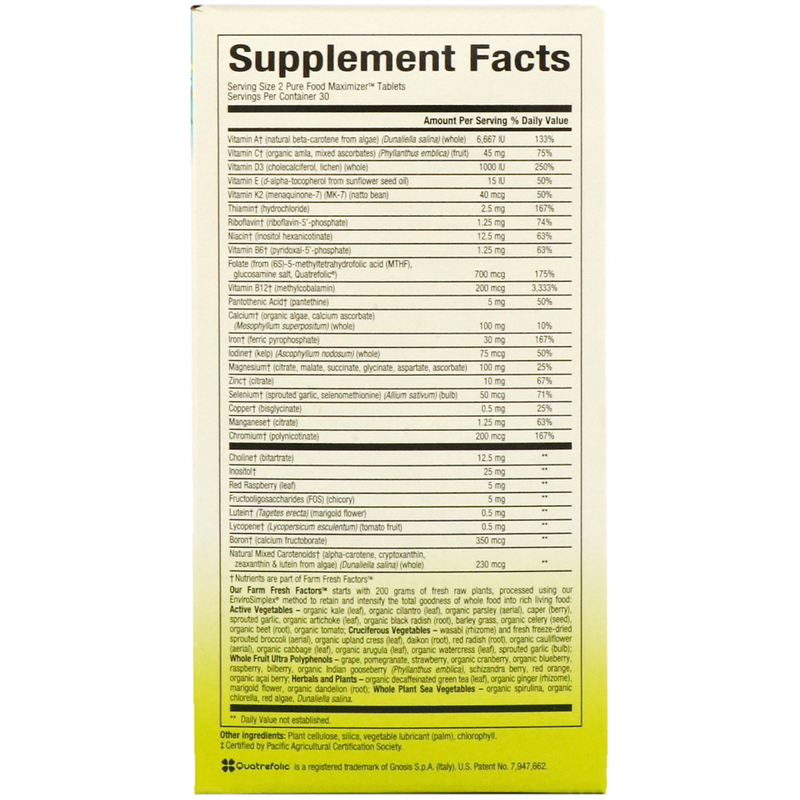 A bioenergetic multivitamin and mineral formula for the maintenance of good health. Women who consume healthful diets with adequate folate may reduce their risk of having a child with birth defects of the brain or spinal cord. Folate intake should not exceed 250% of the DV (1,000 mcg). ‡Certified by Pacific Agricultural Certification Society. Contains no artificial colors, preservatives, or sweeteners; no dairy, starch, sugar, wheat, gluten, yeast, corn, egg, fish, shellfish, animal products, salt, tree nuts and GMOs. Active Vegetables - organic kale (leaf), organic cilantro (leaf), organic parsley (aerial), caper (berry), sprouted garlic, organic artichoke (leaf), organic black radish (root), barley grass, organic celery (seed), organic beet (root), organic tomato; Cruciferous Vegetables - wasabi (rhizome) and fresh freeze-dried sprouted broccoli (aerial), organic upland cress (leaf), daikon (root), red radish (root), organic cauliflower (aerial), organic cabbage (leaf), organic arugula (leaf), organic watercress (leaf), sprouted garlic (bulb); Whole Fruit Ultra Polyphenols - grape, pomegranate, strawberry, organic cranberry, organic blueberry, raspberry, bilberry, organic Indian gooseberry (Phyllanthus emblica), schizandra berry, red orange, organic acai berry; Herbals and Plants - organic decaffeinated green tea (leaf), organic ginger (rhizome), marigold flower, organic dandelion (root); Whole Plant Sea Vegetables - organic spirulina, organic chlorella, red algae, Dunaliella salina.